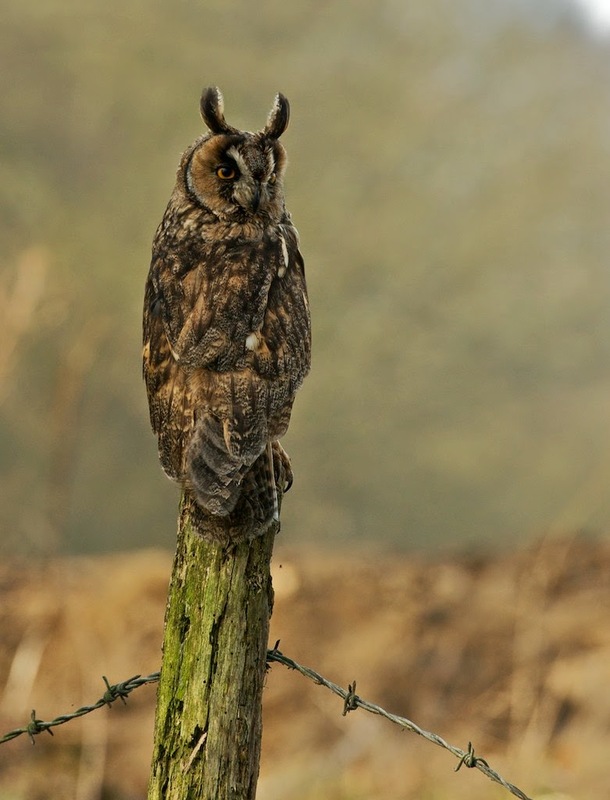 But, to continue the owls, here are a few long eared owl photos for you. 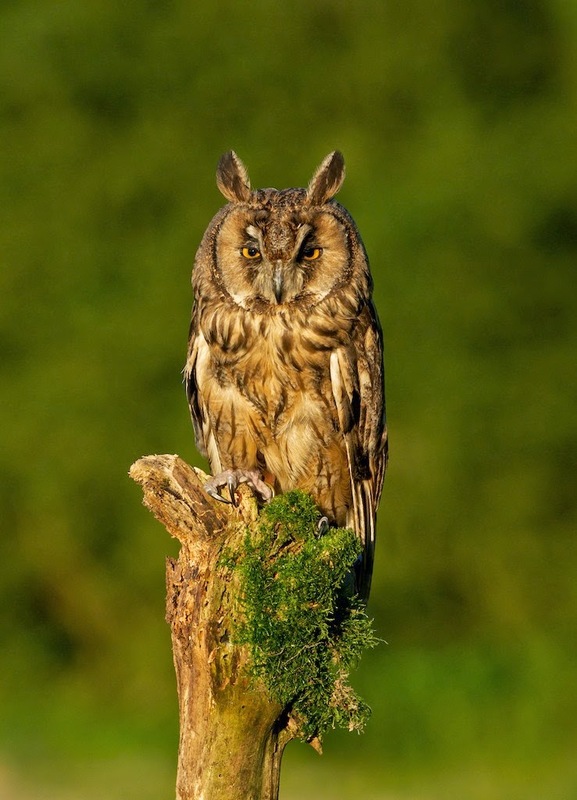 We have three long eared owls at the Centre. A pair which we hope to breed from in the future, and our flying team member "Archimedes". Oh, while I remember... If you click on one of the photos, it brings up all the photos in this post in a kind of lightbox slide show with black background, and at a larger size. You can then use the arrow keys to flick through them. I have been doing the main blog for quite a few years now, and only discovered this yesterday! It helps show the detail in the tawnies facial disc photo in my last post. 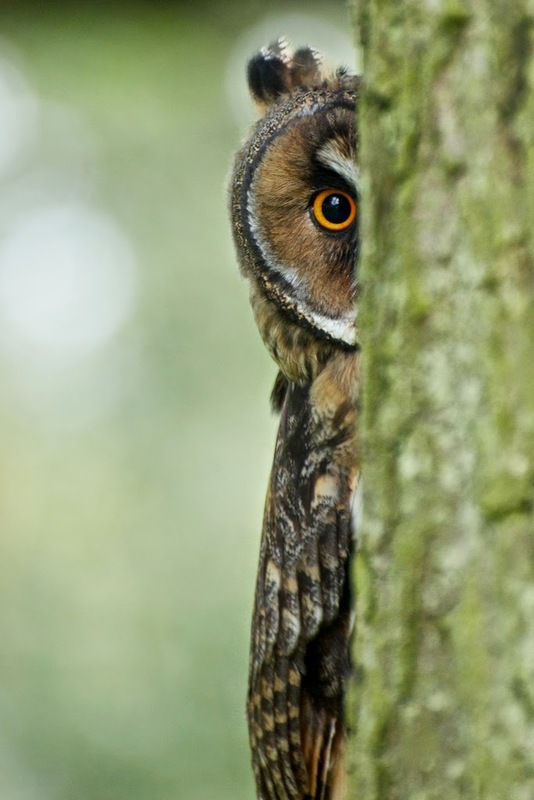 One of the things about all owls are the facial discs, and in particular the incredible eyes they have. 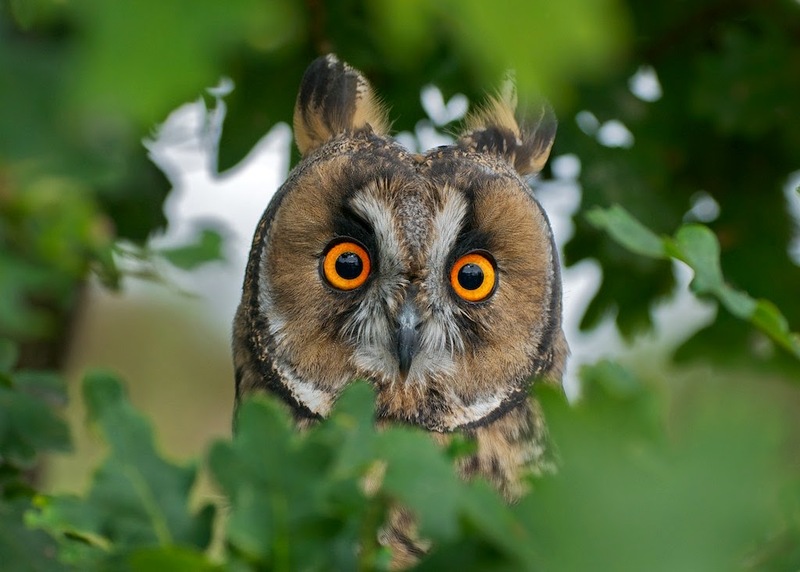 This was one of my first photos of Archimedes, sat in an oak tree, with the leaves nicely framing his face. It was short-listed for the B.W.P.A a couple of years ago. Archimedes in the evening light, I don't know why, but this always reminds me of a wizards staff with a withered old owl on top... Silly I know. 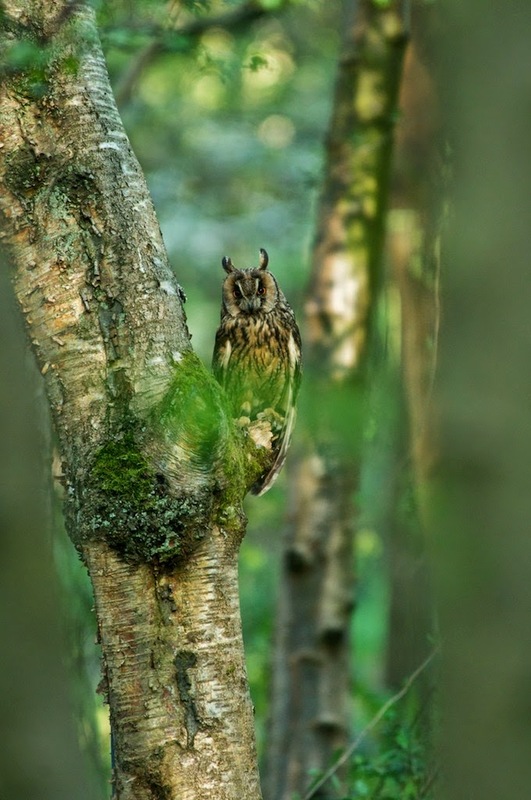 I am not a huge fan of silhouettes, but with something as uniquely identifiable as a long eared owl it can look quite nice. I don't think it would have the same impact with a barn owl for example. One of my favourites of Archimedes. Once again, pulling back to show him in an environment. The blur in the m idle was unintentional, but I don't think detracts too much... and if you look closely you can see his anklets, but hey ho. A peek from Archie... Not sure if I like this one or not to be honest, but it has been one of my more popular ones from internet sharing. Now this is perhaps my favourite... Taken in the extreme late evening light, which had a red glow. 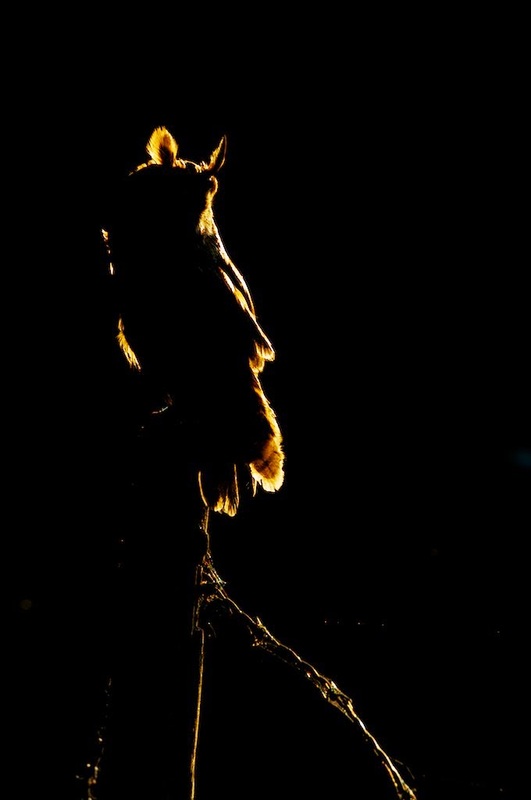 Back lit on a fence post and just illuminating the outline of him. The barbed wire fence catches some of the light too which I like. 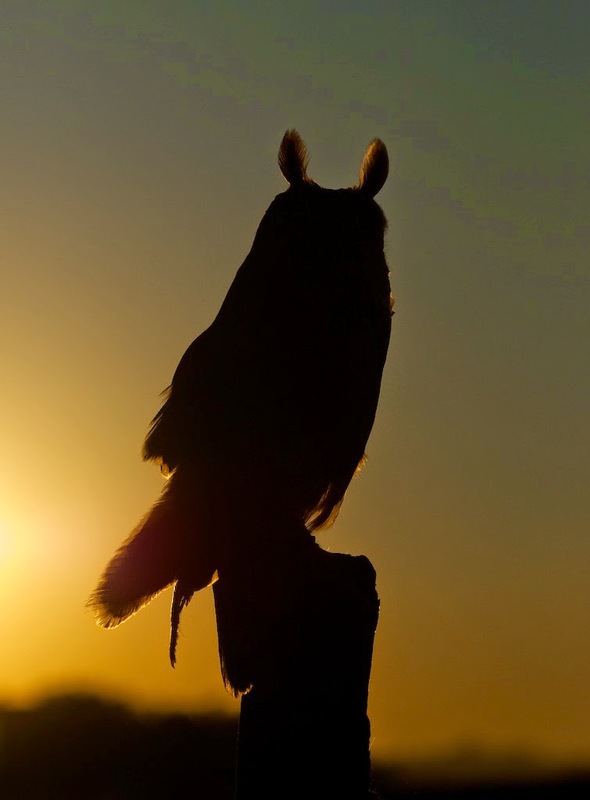 And finally, one of Archimedes watching the sun set. 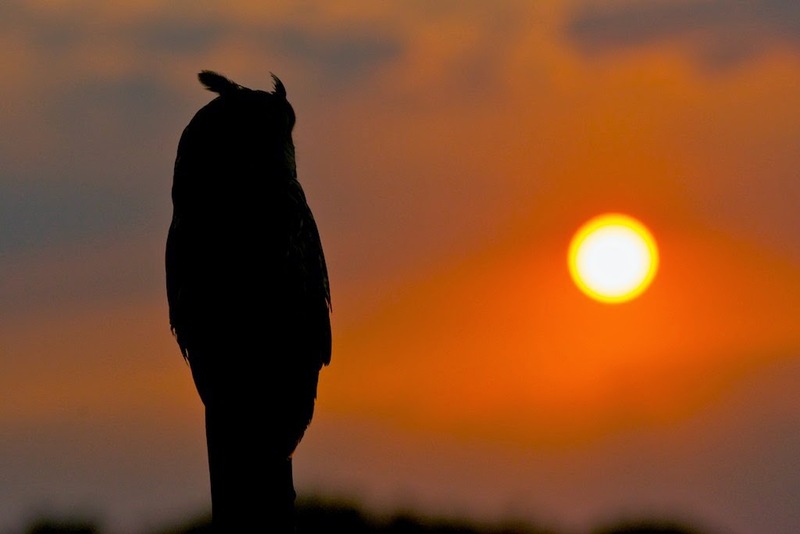 Taken two summers ago... watch this space (well, the main blog space), as I will be doing a couple of evening owl shoots this summer, photographing right until the sun sets to offer the chance of silhouettes and evening light etc. First come first serve when announced.